In Memory of the following four Commandos from 40 RM Commando, Royal Marines, who all died on the 1st September 1943 and are remembered with honour in a collective grave at Catania War Cemetery. 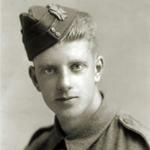 PO/X 109616 Marine Robert McLelland Denmark, aged 21. 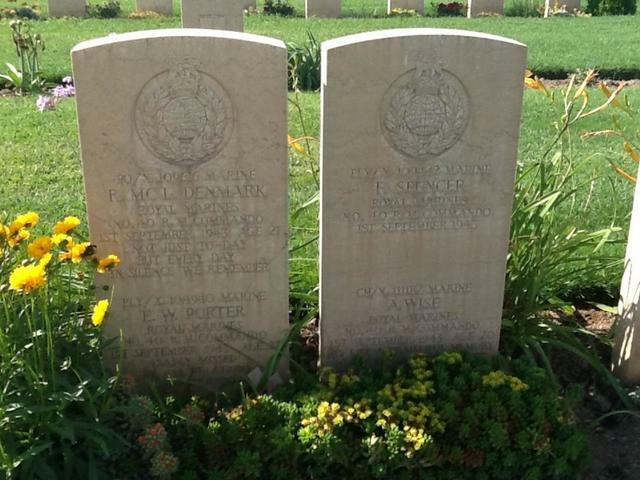 PLY/X 104940 Marine Ernest William Porter, aged 22. PLY/X 109442 Marine Frank Spencer. CH/X 111182 Marine Albert Wise, aged 20.